Abinta was a student of the Oxford College at the Emory University, Atlanta, Georgia, and USA. She was well known for her brilliant academic pursuits. She achieved 3.98 CGPA (Cumulative Grade Point Average) in her freshman year. Because of her brilliant result, the scope of receiving a scholarship emerged. But Abinta refused to apply for it, because she believed that the scholarship should go to someone who did not have the means to afford it. Abinta was awarded the prestigious Phi Eta Sigma honour certificate for her CGPA score on 19h March, 2016. Phi Eta Sigma is a national honour society for first year students at Emory University in acknowledgement of outstanding scholastic achievements and award academic excellence. To honour her wish to support talented students who needs financial assistance and to make her mark ceaseless, Ms Ruba Ahmed - Abinta’s mother and the Secretary General of the Foundation, introduced a life-long scholarship for deserving students (at least two years’ affiliation with the Oxford College) from Bangladesh or in absence of a student (same criteria) from Bangladesh talented students from South East Asia will be given preference. The endowment fund will cover the tuition, accommodation and any other relevant expenses. In 2017, Mr Mohammed Hussein Syed, a brilliant academic from Hyderabad, India has been granted the scholarship. Abinta Kabir Endowed Fellowships supports students at Oxford College with preference to students who are residents of South Asia or have a demonstrated knowledge of Bangladesh history and culture. The scholarship was established in memory of Abinta. Abinta was an Oxford sophomore – an outstanding student, a humanitarian and a leader. Abinta exemplified the true meaning of kindness and unity and served as a role model to aspiring leaders and scholars, dedicating countless hours to the Student Activities Committee, leading and serving the Oxford community (Emory official website). The Abinta Kabir Foundation set up the scholarship for students from Bangladesh and neighbouring south Asian countries to attend Oxford College. The Abinta Kabir scholarship was awarded to Mohammed Hussein Syed, a 20-year old student from Hyderabad, India. He went to Druid Hills High School (right next to Emory College in Decatur) before enrolling in the bachelor’s degree programme in chemistry at the Oxford College. He lives in close vicinity of the Oxford College and being so close to home provides him with a sense of comfort which in turn, lets him concentrate in trying to be as brilliant as Abinta has been. He came to live in America – Atlanta to be precise, when he was 4 years old. He is an enthusiastic learner and has cultivated a true love of learning. He feels right at home in Oxford campus – a tight-knit community. He also surmised that small class-room size helped him to connect with his professors and peers. While he is comfortable seeking help from his professors, he also enjoys the process of applying critical thinking to solve his own questions. One of his favourite classes is organic chemistry. He wishes to train as a Doctor after he finishes his bachelor degree. As a first recipient of the scholarship, Mohammed appreciates the opportunities the scholarship has entailed him. 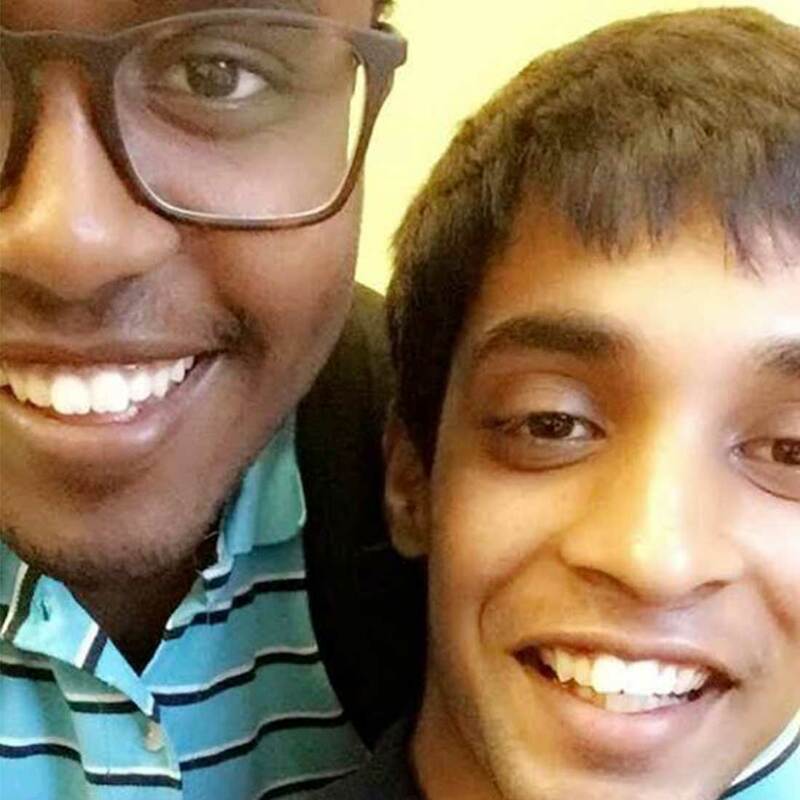 Through his dedication to his studies, his involvement in campus life, and his enthusiasm for connecting with others, Mohammed is honouring Abinta and leading by example for other students. He says: "Receiving the Abinta Kabir Endowed Scholarship and attending Oxford has taught me that if you work hard, you can achieve whatever it is you desire."